Over the past few years, there has been huge investment in this ski region straddling the state line between Salzburger Land and Tyrol. After modernising the lifts, local regions took the plunge in 2015 and the ski area Saalbach Hinterglemm Leogang in Salzburger Land merged with Fieberbrunn in Tyrol. This created the largest interconnected ski area in Austria. Though the Skicircus, as it is also known, has had to relinquish that title for the 2016/2017 season to Arlberg (St. Anton has merged with Lech Zürs), the ski area remains fantastic, generously sized and home to a variety of different terrain. 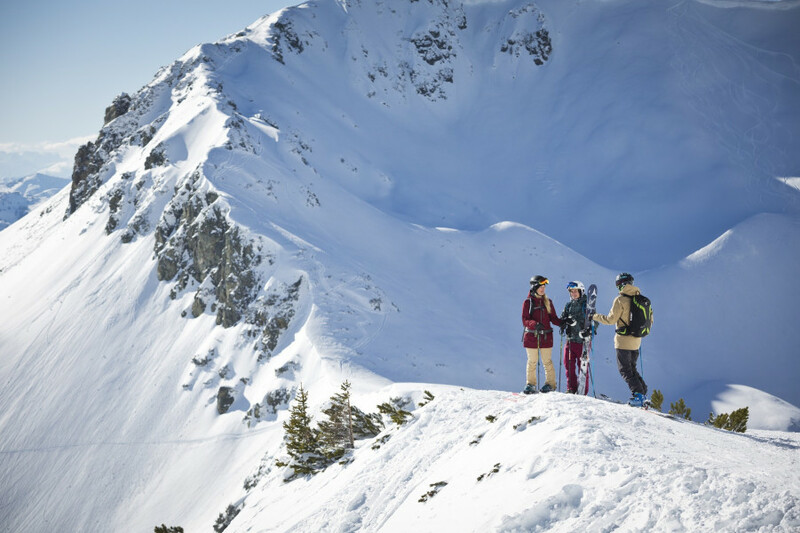 Despite four resorts joining forces to create a huge ski region, each sub-area remains quite different; each with its own strengths and target groups. Leogang is without doubt the best destination for families, as there is a huge children’s ski area close to the valley, and the slopes here are a little less busy. In Saalbach and Hinterglemm in contrast, advanced skiers and those who enjoy eating up the kilometres will love being in the heart of such a huge swathe of terrain. Hinterglemm is without doubt the place to be for party, and it has now established a reputation as being one of the top après-ski destinations nationwide. Fieberbrunn, in contrast, has gone all-in for freeriders, now enjoying a global reputation in this regard. In an effort to share with the rest of the world the perks of Saalbach Hinterglemm Leogang Fieberbrunn, eye-catching events are held in the ski area every year. For instance, the Skicircus usually gets the ball rolling at the start the season with the events Rave on Snow and Formula Snow. In addition, Fieberbrunn is an annual fixture on the Freeride World Tour. However, the top prize is arriving in 2023 when Saalbach Hinterglemm plays host to the Alpine ski stars of the Skiing World Championships. The ski area was selected to host the event ahead of competitor St Anton. Due to these factors, it shouldn’t come as any surprise that Saalbach Hinterglemm Leogang Fieberbrunn is one of the best ski areas we have ever tested. This huge region, weighing in with 270 km of runs, hardly exhibited any weakness across the board. For instance, the ski area’s options for advanced skiers, freeride and freestyle all received top marks, while it also impressed us in the categories après-ski and on-mountain dining. You have to look pretty hard to find weaknesses, but the closest thing is probably be the low average volume of snow the ski area receives every year. The Overall Impression is TOP. This is where Preis/Leistunf fits. Magnificent territory, something for everyone. Piste maintenance very good, only minus are the many stick open, greening and therefore cruel traces of tourists left behind. Fantastic, varied and huge ski area! A ski resort that provides something for everyone. No matter if beginner, advanced or professional... no matter if piste, deep snow or Funpark... here everyone will find his fun and the right pistes for him! Nice staff, modern lifts, Very good slopes. Absolutely my number one. The Skicirkus rounds are great. Despite the size of the area and the associated numerous tourists many beautiful and quaint huts, not like in other areas large ski resorts that act like foreign bodies. Variety where everything is there. By far the ski resort with the most possibilities! Everyone feels comfortable here. This makes Saalbach Hinterglemm Leogang fever Brunn unique. The slopes in the entire ski resort are always well groomed and the lifts are in a top condition! Only a few black runs, the entire ski resort is very well prepared!